tl;dr: If you need to raise capital, go do it. 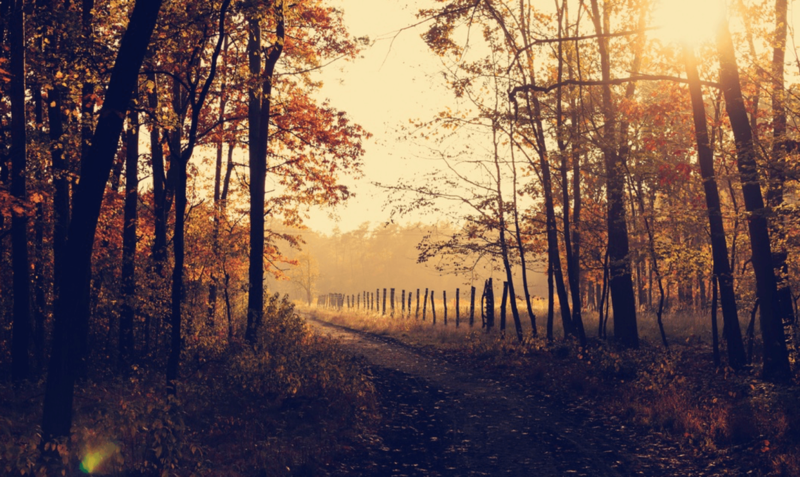 There isn’t enough seasonality to venture investment to make waiting worth your time. In business, it feels like there’s a season for everything. For example, every quarter, there’s earnings season, which is when publicly traded companies announce results and projections for the following quarters. These earnings reports are often impacted by seasonal trends. Amazon is a prime example of this phenomenon. Analysts estimate that Amazon will rake in around $45 billion in the fourth quarter of this year, up from $32.7 billion reported in the third. This doesn’t mean that Amazon will actually grow by 38% in one quarter; it just means that Amazon’s revenue—like that of most retailers—is amplified by the holidays because people buy a lot of things they definitely don’t need. So when we travel from the public to the private, is there seasonality in venture capital activity? If the question sounds like a stretch, it isn’t. There’s rumored seasonality in venture activity, so we decided to test the point. What does that tell us? That in any given year, VC investment activity will rise by an average of 18% between Q1 and Q2. The main takeaway here is that, in general, VC investors tend to be more active in the spring and early summer. That being said, there is not dramatic seasonality in VC investment deal volume, unlike our Amazon example. At most, we’re talking about a few points, not a massive swing. Conventional wisdom tells us that finance has a few slow periods. It does, or at least it used to. Stock market traders called the period between July and mid-September “The Summer Doldrums” because of low volume and higher volatility due to less liquidity in the market. Today, it’s possible to trade on any market anywhere in the world from the comfort of one’s own couch, so many now refute the “Summer Doldrums” theory as well as its “Summer Rally” counterpoint. 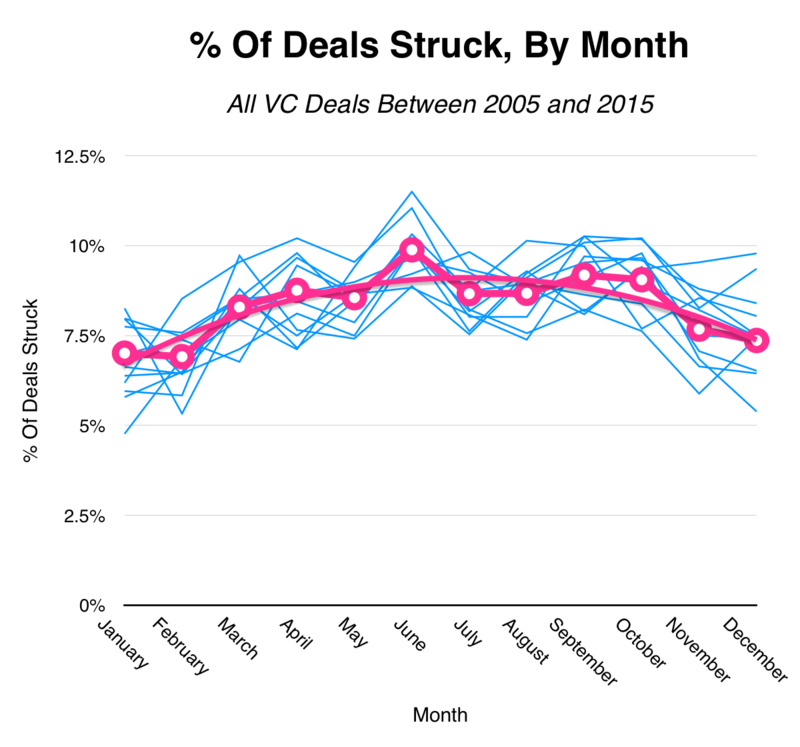 All this being said, there are some minor declines in VC deal volume during certain parts of the year. November and December are a little bit quieter than average, likely due to the holidays. July and August are a little slow as well, but not by much. June sees a modest increase in VC deals, perhaps in anticipation of summer vacations with family. It might be the case that VC investors take some time off in the summer months, but, then again, so do most people in the US. You’ve probably noticed that the common refrain here is one of “maybe,” “perhaps,” and “minor differences.” For entrepreneurs seeking fresh capital, this “no news” answer should come as good news. Although you might have slightly more luck in the spring and summer, raising during that timeframe doesn’t give you much of an edge. Why Isn’t VC More Seasonal? Let’s first start out by saying that venture capital is most definitely cyclical, but not on a seasonal basis. To beat a dead horse, you can’t really set your calendar by VC investment activity in the same way you can with retail sales. Year in and year out, the likes of Amazon, Walmart, Target, and their peers consistently have more revenue in Q4 than in previous quarters. Not so with Sequoia, Kleiner Perkins, Andreessen Horowitz, Bessemer, Benchmark, and the like. VC is not seasonal because supply and demand for capital is, on the whole, not seasonal either. The extent to which VC is cyclical has very little to do with the time of the year. 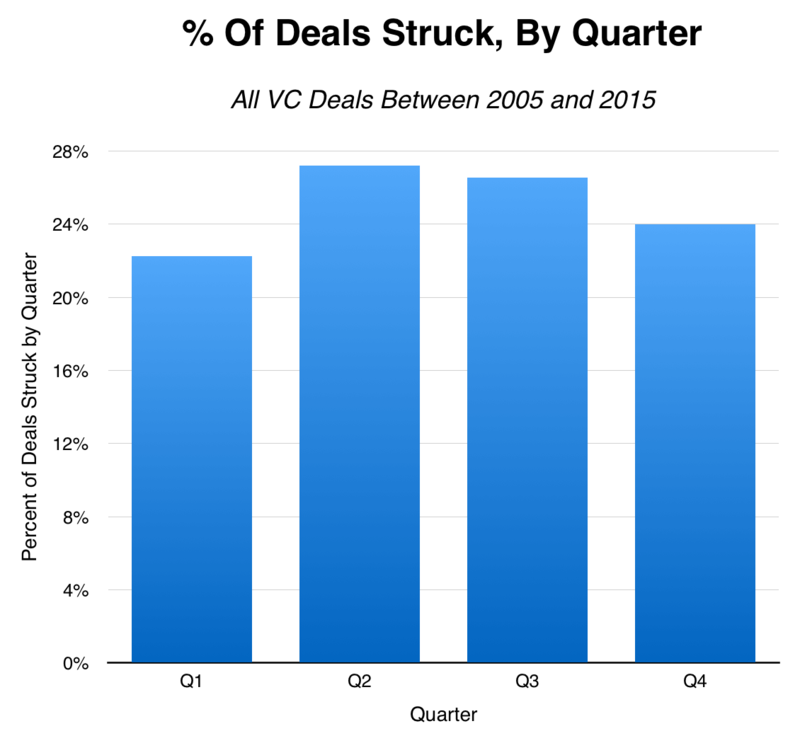 In May 2015, Mattermark covered the cyclical nature of VC fundraising activity. The supply of venture capital is largely a function of how much risk investors into VC funds (i.e. the limited partners) can stomach. VC investors, in turn, tend to invest when broader economic trends are in their favor, and as we covered in July, they pull back when the broader stock market declines or there are doubts about valuations in their end of the asset pool. So Raise now, not later. It’s something we’ve written before, and it’s still true. It’s important to note that Mattermark uses the dates on which deals are announced as its date data for investment rounds. Remember that most deals are announced days or weeks after checks are signed or wire transfers are received, so there may be a bit of lag in our data. We included all stages of deals, from Seed and Angel rounds up through the five Series H rounds. We were also sector-agnostic. Due to an artifact of how data is collected and processed by Mattermark and some of its sources, we removed 90% of the deals that were said to be struck on January 1 of any given year. Taken as a whole, the January 1 deals made up over 10% of our initial dataset, which we knew to be incorrect.